We’re doing a Quick Wins segment. If this is your first time tuning in, Quick Wins are when I have the opportunity to connect and discuss ideas, products and services to help round out your consulting toolkit. Our guest is Dr. Froswa Booker-Drew. She’s a Senior Executive in the public sector space. She’s a seasoned consultant, as well as an author. 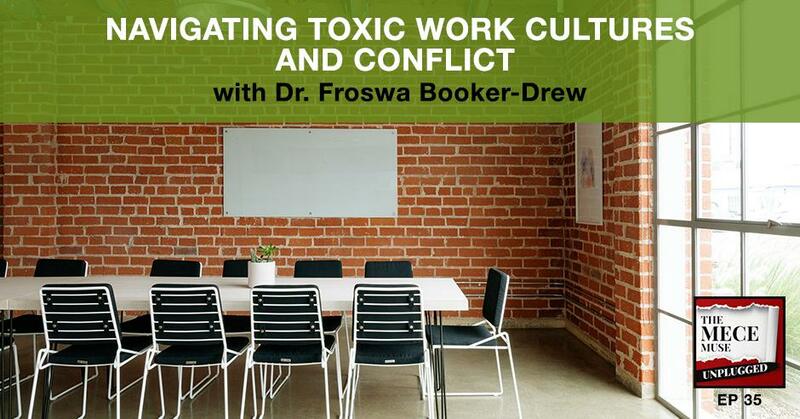 Dr. Froswa is going to break down work cultures, toxic work cultures, as well as how to deal with conflicts. This is going to be an informative and popular episode because I have gotten a lot of questions. People are looking for guidance on how to deal with a toxic culture. If you’re in the midst of one, if you’ve got a colleague that’s in one, definitely check out the interview. You’ll be able to walk away with some helpful, actionable tips. The book officially launched the paperback. If you’ve pre-ordered The MECE Muse, thank you so much for your support. I look forward to hearing from you. Feel free to drop me a line at MECEMuseUnplugged@Gmail.com. I’d love to hear your thoughts, reactions. Please snap book selfies, post them online. I’d love to hear your feedback as you start to receive the book. Another update go-getters, we’re adding some new features. We’re going to be transcribing each episode. Going back to the very first episode, you’ll be able to see the transcription of those and additional advanced information. I’ve gotten a lot of feedback through my improvement study I did about a month ago where people wanted to see a little bit more of some of the written transcripts. We’re doing that and so you’ll start to see that slowly transition. With that, let’s get started. Froswa, welcome to The MECE Muse Unplugged, how are you doing? We’re going to talk a little bit about the topic of toxic work cultures and conflict in the workplace. When I think about my years in consulting, I don’t think there was a year that didn’t go by where I didn’t deal with either one or the other or both. This is going to be a helpful conversation to everyone out there. Before we get started, take a moment and introduce yourself. Thank you once again. Dr. Froswa Booker-Drew. I currently serve as Director of Community Affairs for the State Fair of Texas, the largest fair in the country. I’m responsible for all of our education initiatives, our community involvement, and our philanthropy in our local community. This past year we had over 2 million visitors. It’s a huge 23-day event and I get a chance all year round to really make impact and do some great things and work with wonderful foundations and organizations in our local community. In addition to that, I’m an author. I’ve been a consultant and I still do some consulting on the side and had been doing that for about fifteen years and a mom. I have a lot of different roles that I’m juggling. You talked a little bit about the event that you’re doing. Maybe we can take a step back. I know you’re an author, you’re a consultant. How did you get started in the line of work that you do? It wasn’t something that was intentional to begin with. I thought I was going to go to law school. I remember I was writing a paper for a conference as an undergrad and went to the law library at UT Austin. I saw all these students on a Saturday, and this one guy walks up to me and he goes, “Do you want to do this? This is what your life is going to look like, “They looked miserable. I thought, ” I don’t know if I really want to do it at this point.”I had been volunteering so much, and at the time, there wasn’t this non-profit management leadership test that was available. People just went into social services. I ended up as a college student doing a lot of volunteering. I got an opportunity at 21 years old to work for a nonprofit that was helping young people that were first generational students begin to look at college as an option. From there, how I got into consulting was the need was there. People were coming to me after some of my experiences and they said, “We would love for you to help us with program development.”It moved from the program development piece to me helping people with fundraising and donor cultivation and brokering relationships. It spread into a practice that allowed me to do strategic planning and a lot of different things. It started with me having the experience in the field first before I moved into doing a lot of the consulting. For the experience that you’ve had, what would be some advice you would give your younger self? Sometimes we’re not confident in our abilities quite yet. I hear sometimes consultants feel like they are so young and their clients are a little older. Any thoughts there that you can share with everyone if you’ve had any of those experiences? I remember even supervising a team and I was very young. I had people on my staff who were the age of my grandparents. That was difficult. What I had to recognize were the power dynamics. I had to own the fact that there were things that I did not know and it was not my job to prove to them that I knew everything. My job was to listen and to figure out how do we solve for whatever the issue was for the department. Being okay and comfortable in saying, “I don’t know the answer.”When you’re young, it is always the need to validate or be validated and to show people, “I’ve got my degree. I know what I’m talking about.” The reality is even though I have a PhD, there’s a lot I do not know and I’m okay with that. That’s why it’s so important to bring other people to the table and allow the teams or the people that you’re consulting with to give you information. There is something that everyone has to offer. How do you tap into that and create an experience that’s been official for everyone that’s coming to the table? We’re talking about toxic culture. Maybe you can share with the go-getters your definition of a toxic culture. What does that comprise of? Feel free to share any stories if you’ve ever experienced that. What are some of the telltale symptoms that an individual may be working in a toxic culture? You’re in an environment with leadership that does not listen. The environment may be one that there’s a lot of sabotage. The environment can include manipulation where people are promised certain opportunities and then those opportunities aren’t presented. There’s micromanagement that goes on. There is a lot of checking up on people. I had a client, an amazing organization, they had hired a lady to come in who was extremely skilled. This is the problem for a lot of organizations that they don’t pay attention to. You can have someone who’s extremely skilled, but they don’t have people skills. They can come in and create such a toxic environment that the great work that you were doing is sabotaged and your morale begins to die. You’re not performing at the level that you once performed for your clients, for the people in the community, for your donors. All those folks were being impacted. They brought this lady on and she was so difficult to deal with. It became such a bad situation because the staff began to blame the leader for allowing it to happen and not taking a stand on that. She put cameras up to see what people were doing and they didn’t know they were being watched. It was such a very damaging situation to professionals. These were people who are highly skilled, degreed, had enormous experience and yet they were being micromanaged. They were being called all hours of the night. There was no balance. The expectation was for them to work whenever she felt like they needed to work, even though they had schedules. She felt like if she worked all these extra hours, they should do the same thing as well. It took a lot for me to work with them as a consultant to try to rebuild the morale and bring the trust back or senior leadership with the staff. There are so many examples. I’ve even gone through it myself where there’s been leadership who were more concerned with results than they were concerned about the people that they were working with who provided the results, and how damaging that is to morale. How in the midst of those situations do you continue to stay where you’re at peace? How do you stay in a place where it can be damaging to your own morale, but being the type of leader where you make sure that you are trying to set a course for the people you’re working with so that they’re not suffering? Toxic environments are not something that impacts only the individual. Everyone in those environments are suffering. Professors at Antioch have a book on toxic leadership, it’s by Mitchell Kusy and Elizabeth Holloway. What most people don’t realize, and I learned this from their book, is that the cost to an organization is enormous when you have a toxic culture. Not only does morale suffer but productivity begins to suffer. How do you help organizations identify those behaviors and course correct as quickly as possible? You mentioned about dealing with individuals. You talked about the woman that came in, and over time, it unraveled. Are there other ways that you can see that coming in the door? When I think about my own experiences, I feel like on the outside looking in, everything looked normal and everyone talked a great game. This could be a project, it could be an interview. Have you any thoughts for go-getters that may be looking for a new job or a new project? What are some ways that you can figure that out before you even walk in the door? The first question you ask an organization is, “How do they deal with change?” That’s going to give you a lot of insight on what they do and what they believe. The organizations that do not embrace change are going to be places that are difficult to work in quite often. They’re going to have a hard time adjusting. If they say, “We’ve always done it this way and we’re going to continue to do this, this way” you’ve got to question the culture of that organization. You also want to ask about, “What does leadership look like?” If it’s very hierarchical. In organizations, there are going to be people in leadership. If there are not opportunities for the leadership to be distributed and shared, when someone has a great idea, how do they move that idea up the chain, and is that embraced and is that encouraged? Those are the kinds of questions that you want to ask. Ask the people who work there so that they don’t feel like, ”You’re asking about my particular boss,” but you’re asking about the culture. That’s very important to pay attention to. When we apply for jobs, we’re so interested in the position that we’re not paying attention to the larger picture that’s going to impact our position. Those are some questions that I would suggest that you ask upfront about how an organization exists. What’s the value system? Not the value system in terms of what they tell you, but what’s really important to them. There is a book that I love that’s called The Artistry of LeadershipThey say, “Within every organization, there are these different qualities that exist.” Power is one, or the political. How is power expressed in that organization? Is it that everyone submits to this one person? Are there people that have other opportunities to rise to the occasion because they have a great idea? What does power look like in the dynamics of power with those in leadership and with those who are not in leadership? That’s one piece. What is the symbolic piece or culture of the organization? Meaning, what is the water cooler conversation like? Not what they tell you what’s on the internet because no one’s going to tell you all the bad stuff. What’s the water cooler conversation like in an organization? That’s something that you may not learn immediately, but you do want to pay attention to that and look at what’s the history. How have they dealt with people in the past? 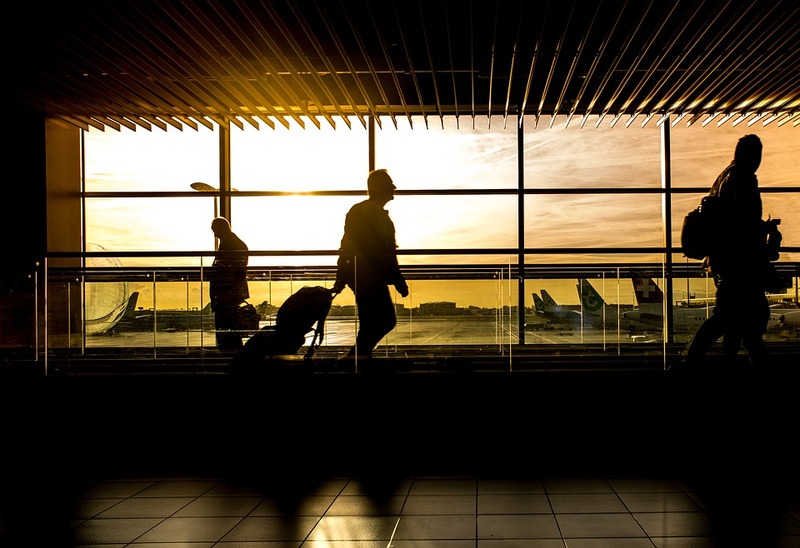 What’s the record around retention of employees? Do they have an enormous amount of turnover? That’s a red flag if you want to be a part of that. Do they constantly move through consultants? If they’re doing that, then you can go on and bet that you’re probably going to be next on the list after a short amount of time in dealing with them. Those are some things you want to pour attention to. In addition to those things that I mentioned, you want to also look at what their processes are. If you’re in a place that does not have any structure, depending on your personality, that could be a great entrepreneurial place to come in and create. For some, if there is no structure and you have no idea about the direction that they’re going in, that’s going to be very difficult to be in that environment because there’s no accountability. When they go on and they have other areas that they talk about that exists within organizations and within businesses and companies, those are a few that they should think about and ask questions as they pay attention to not just employment opportunities, but consulting opportunities. That’s going to be critical to their success. Toxic Work Cultures: Your health and your sanity are more important than keeping a position or notoriety or even a check. Toxic culture is the cousin of conflict. What are some thoughts you have thereabout conflict in the workplace? We all have conflict and we have to be comfortable in knowing that that is going to exist. As individuals, we deal with conflict within ourselves. There are certain things that we do that may not line up to the behavior that we were taught as kids or what our parents believe. It’s becoming aware of conflict is there. In our society, we have become so trained to believe that situations have to be either/or. It either has to be a perfect environment or it’s not. We have to learn how to wrestle with this ideal at both ends. You can have an environment that works well, but there is going to be conflict because there are people who are at the table who have different ideas. When you introduce diversity of thought, of people, of situations and possibilities, there is going to be conflict because there’s a power dynamic. Someone may feel that there’s something that they’re going to lose. How do you create an environment and space for people to be authentic to talk about what they’re afraid of losing? That’s really at the core of conflict. When I’m uncomfortable with something, I feel like you’re taking something away from me, and that bothers me. You’re hurting me or harming me in some way, whether that’s a physical or psychological. I feel like there’s something that’s going to happen to me and as a result I’m losing something. How do you create the space and opportunities for people to share how they feel without feeling like something bad is going to happen for me being authentic? That goes back to culture. How do you create a culture that says it’s okay for people to have disagreements and to agree to disagree? The problem becomes when people don’t want to deal with conflict, that we find ourselves in organizations and with opportunities that ended up being very painful. It’s going to be important to recognize wherever you go, that’s going to happen. When it becomes toxic and the conflict does not have an opportunity to be resolved or there’s an impasse and there no opportunity for people to agree to disagree, it’s going to create more pain and it’s going to create more division, that becomes a time, that you have to make some very serious decisions. Anytime a conflict or a toxic environment impacts your health, that’s the time that you have to have some evaluation. All money is not good money. Your health and your sanity are more important than keeping a position or notoriety or even for a check. You have to begin to figure out what are your non-negotiables and draw the line in the sand to say, “These are the things that I’m not willing to tolerate.”Be very clear on those things. We focus a lot on what we want, but I don’t know if people focus enough on what are the things that you don’t want, what you’re not willing to tolerate and put up with? When you have good boundaries, whether it’s a toxic work environment or it’s conflict, having those good boundaries are going to allow you to have some level of safety and protection. When you mentioned “defining your boundaries”, it also helps you create a filter to which you can look at opportunities and projects and client engagements from a different lens, because then you’ll pick up on those cues before you even walk in the door. You have to be clear on what your lane is. I had an opportunity where someone wanted me to come and speak. I could have gone and taken the opportunity but it wasn’t one, what I really wanted to do. Two, it wasn’t going to get me closer to the ultimate goal that I had. Three, is it going to provide some level of experience for me or allow me to help someone in a very different way? Out of the four questions, three of them were no. I decided to give it to a friend of mine who the opportunity was more aligned with her skill set than it was with mine. It’s very important to be clear about what you can and cannot do. Otherwise, you will find yourself, like I did very early in my career, saying yes to everything. You become the Jack of all trades. You’re really not a master of anything. There’s nothing wrong with having multiple skill sets. I don’t want to say that at all because I do, but it’s being very clear on what those skill sets are so that you’re not manipulated or thrown the shiny ball and saying, “This is going to be great,” and it doesn’t benefit you at all. I want to talk about your book, Rules of Engagement. Maybe you can tell us a little bit about the book. Why did you write it? The book was the craziest thing how that happened. I’m learning that opportunities do not always come in the form that you believe that they will. Sometimes, you have to be open to possibilities and that’s what happened with the book. I was doing a research group while I was working on my PhD. and I had all these women come together. The whole point of the group was to see how they built their network. I’m really big on social capital. How do you build these relationships and these associations that help you with your career or your personal life? We all need these circles of influence that you inspire us or help us to get where we need to go. I bring these women together to see if they’re going to do that. They started sharing these stories that were unbelievable. I knew all of them, but they didn’t know each other. I didn’t know as much about them as I thought I did. I’m listening to these stories and I’m crying. I’m learning more about this ideal of narrative identity, how our stories of what we tell about ourselves allows people to understand who we are. Sometimes, we’re telling stories that are getting us results that we don’t want. That was very helpful to me in listening to them. I took their stories and began to create this workbook that help people think about what are the stories you’re telling about yourself? What are the narratives that you’re giving in the community? Are those narratives helping you connect to the people that you want to connect to? Before you can think about a network and building one, it’s important to know your good, your bad, and your ugly. The point of the book was to use their stories and insights I gleaned from listening to them for months, along with some of my own personal experiences, in helping people think about these rules of how they connect to each other by starting with their own personal narrative. It was initially designed for women. I thought it was going to be for a certain age group. What I found was college women, and young professional women were the ones who are going nuts over the book because they were trying to figure out how to build a network. The book helped them with that. The other audience that I didn’t initially designed the book for were men. I had a number of men say, “This is applicable to our situation as well.”It is to help people think deeper. I’m big on this ideal of self-reflection. How do people take the time to think about their stories and think about their day so that they make better decisions and more informed choices? In our society, we don’t do that enough. That’s what the workbook is for, to help people begin to self-reflect on what they say about themselves. Self-reflection, at least for me, has been extremely powerful. It’s brought a lot of clarity in my life. I am all for any tools to help me do that particularly better. If individuals are interested in contacting you or connecting with you, what are ways that they can do that? I’m on LinkedIn, I’m on Facebook, but it’s probably a lot easier to connect with me on LinkedIn. My email address is there. I have a website that’s FroswasRules.com. You can reach out to me on the website and send me an email. I’m very open to connecting. 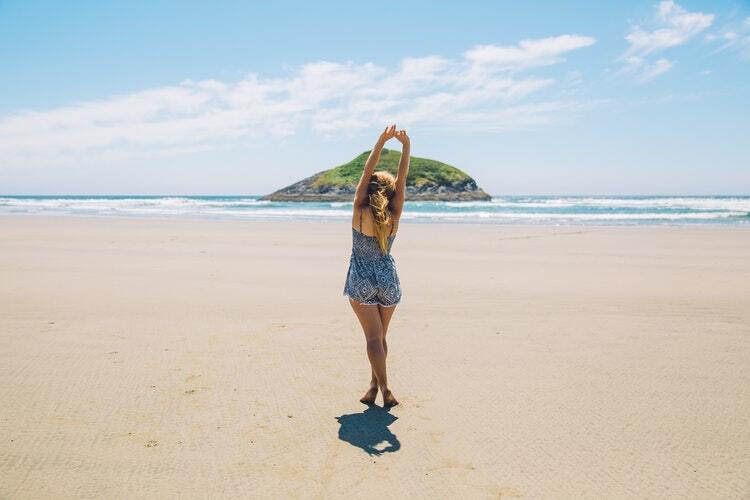 I not only feel like it’s great to be able to share, but I learn so much from other people when we connect with each other and share our lives and do this journey together. I’m open to those possibilities of making new friends. Thank you so much, Dr. Froswa Booker-Drew. Thank you, my go-getters. 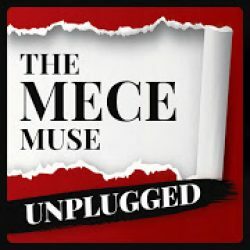 This is Christie Lindor with MECE Muse Unplugged pop-up podcast. Here’s to your journey to greatness. 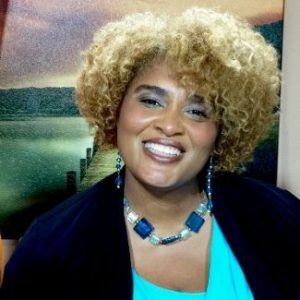 Froswa’​ Booker-Drew, PhD has been quoted in Forbes, Ozy, Bustle, Huffington Post and other media outlets, due to an extensive background in leadership, nonprofit management, partnership development, training and education. She is currently the Director of Community Affairs for the State Fair of Texas. Formerly the National Community Engagement Director for World Vision, she served as a catalyst, partnership broker, and builder of the capacity of local partners in multiple locations across the US to improve and sustain the well-being of children and their families. Froswa’ was the emcee for Movement Day Greater Dallas (2014, 2015), an event that brought together 1000+ Christians to solve for social issues in the DFW area. She was a part of the documentary, Friendly Captivity, a film that follows a cast of 7 women from Dallas to India. She is the recipient of several honors including semi-finalist for the SMU TED Talks in 2012, 2012 Outstanding African American Alumni Award from the University of Texas at Arlington, 2009 Woman of the Year Award by Zeta Phi Beta Sorority, Inc. and was awarded Diversity Ambassador for the American Red Cross. Froswa’ graduated with a PhD from Antioch University in Leadership and Change with a focus on social capital and relational leadership. She attended the Jean Baker Miller Institute at Wellesley for training in Relational Cultural Theory and has completed facilitator training on Immunity to Change based on the work of Kegan and Lahey of Harvard. She has also completed training through UNICEF on Equity Based Evaluations. 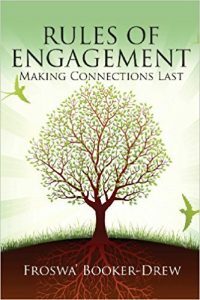 She is the author of 2 workbooks for women, Ready for a Revolution: 30 Days to Jolt Your Life and Rules of Engagement: Making Connections Last. Froswa’ was a workshop presenter at the United Nations in 2013 on the Access to Power. She was a Post Doctoral Fellow at Antioch University and an adjunct at the University of North Texas-Dallas. She is a writer for several publications around the world.